​Auchengray Church Centre Trust was set up in October 2012 with the twin aims of providing an independent community church and a recreational community facility. In January 2014 the Church of Scotland transferred ownership of Auchengray Church Centre to the Trust. We are located in the village of Auchengray about 7 miles north of Carnwath, South Lanarkshire (ML11 8LN) and we serve the rural communities of Auchengray, Tarbrax, Woolfords and district. ​Auchengray Church Centre is adjacent to Auchengray Primary School which has recently been rebuilt to provide a new P1 - P7 school. The Trust is a member of Evangelical Alliance UK which represents over 3,500 churches across more than 80 denominations and 700 organisations throughout UK. 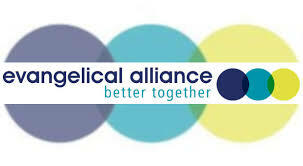 EA UK encourages co-operation among Christians, while respecting diversity of culture, experience and doctrine.